I stopped being a coffee drinker when I quit smoking. Somehow having a cup of coffee isn’t as fulfilling without a cig. Previously, I would tell my friends that I only drink two kinds, water and beer. But those were my pre-running days. Now I only have water, sports drink plus occasional protein shakes. However, it seems that there will be changes as I am sipping my first cup of coffee in ages. I was invited by Que to attend San Mig Coffee Bay Run Bloggers presscon last Friday. I was pleasantly surprised to find out that San Miguel created a whole new line of pro-health instant coffee. 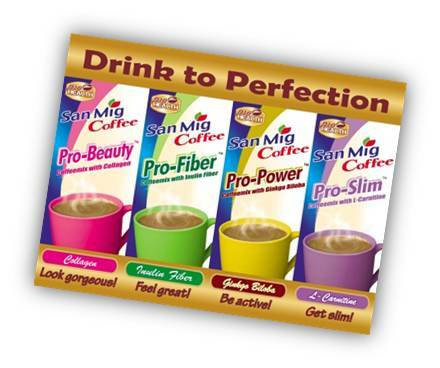 San Mig Coffee Pro-Health is a line of complete sugar-free, low-fat, cholesterol free, low calorie coffeemix enriched with functional ingredients for added health and wellness. Yes, you read it right. All varieties are SUGAR-FREE, LOW IN FAT, LOW CALORIES and CHOLESTEROL FREE. They have four varieties to choose from. Coffeemix with Collagen which helps in restoring your skin’s elasticity, removes wrinkles for smoother skin and delays the signs of aging. Coffeemix with Inulin Fiber to help smoothen digestion, lowers cholesterol for a healthier heart and increase calcium absorption for stronger bones. Coffeemix with Gingko Biloba to boosts memory for improved mental performance. It also helps improve stamina for sustained energy release and it detoxifies the body for a healthier well-being. Coffeemix with L-Carnitine which helps burn fat, converts unwanted calories to energy and increases metabolic rate for sustained energy. 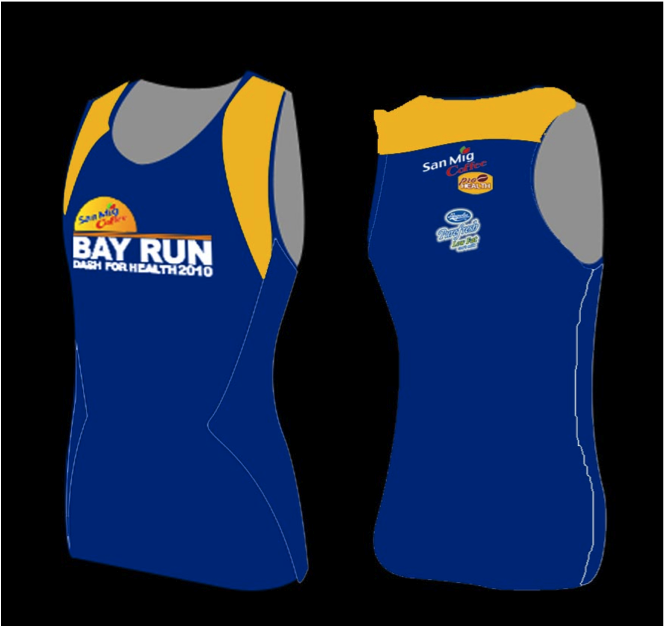 And to promote this product, San Mig Coffee is organizing the 1st San Mig Coffee Bay Run Dash for Health 2010. – All you have to do is to call the WWWExpress Hotline at 793-1777. Press option 2 to be connected to marketing. Or you may also call their direct line 852-7210. 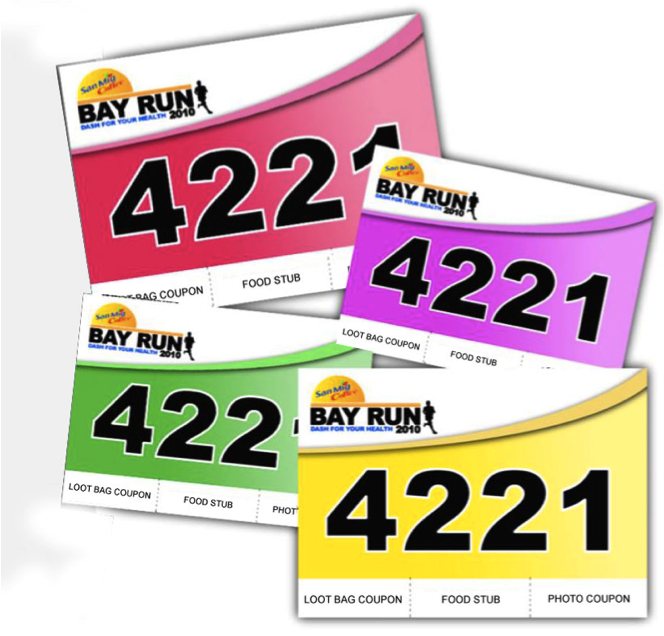 Provide your details and your race kit will be delivered to you for a minimal fee of P60 on top of the race fee. Payment term is COD so you don’t need to go to a bank to deposit your payment. There’s more! They can accept up to (5) FIVE registration per P60 delivery charge. So if you want to save, go register your whole family or your friends! 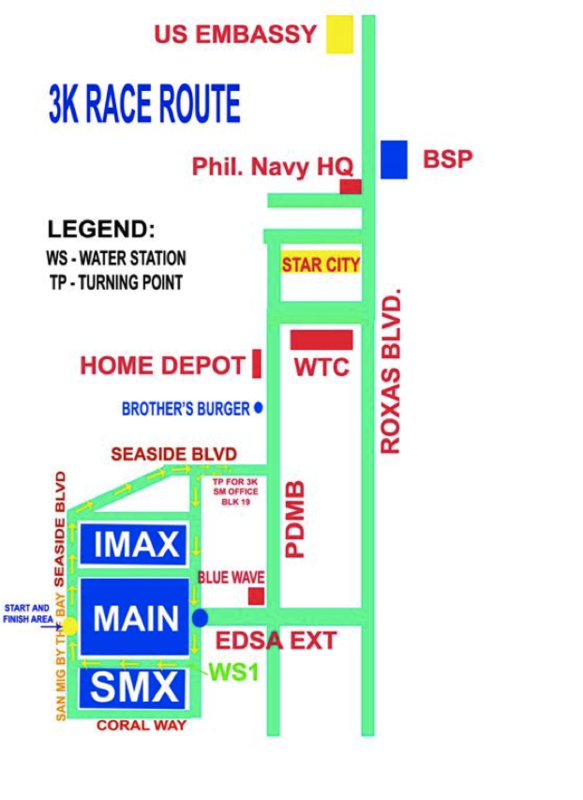 Note: Only 5,000 runners will be accommodated as of press time. *Singlet sizes are based on Universidad sizing. Magnolia PureFresh Low Fat Milk, Magnolia Pure Water, Pocari Sweat, Magnolia Lifedrink, Bank of Commerce, Healthway, Wi-Tribe, Gardenia, Magnolia Pancake Plus, Magnolia No Sugar Added Ice Cream, Microtel Hotels and Resorts. Water stations will be positioned every 2.5k to 3k. There will be marshals every 200m to direct the runners on where to go. Road will be closed (single direction) from Macapagal Ave. all the way to Star City. 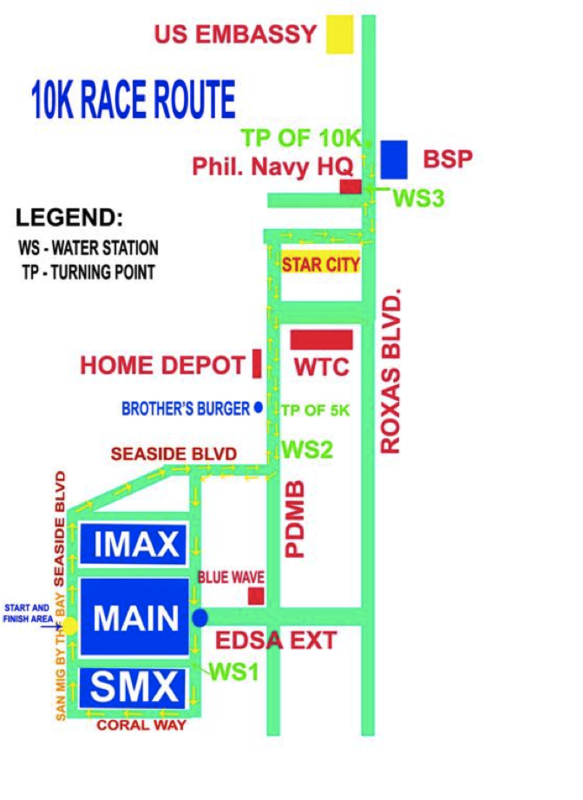 There will be a San Mig Coffee Sampling Area which will be serving HOT and COLD San Mig Pro-Health Coffee. Runners of each distance category will be pampered with on the ground activities. A nutritionist will be stationed here giving discussion on proper diets, recommended daily calorie intake, and easy to prepare dishes that are healthy and high in fiber. Fitness experts will perform cool down activities as well as give consultations on topics such as proper fitness, BMI, waist-height ratio, resting metabolic rate, and target heart rates.